The Polycom CX300 brings new meaning to the USB desktop phone with a two-line monochrome display, telephone keypad and wideband high fidelity audio. The CX300 seamlessly integrates with Microsoft Office Communications Server 2007 and provides the look, sound, and feel of a conventional enterprise-grade telephone with plug-and-play ease of use. Polycom offers the only complete line of integrated voice and visual communication solutions for Microsoft collaboration tools. The SoundPoint IP 500 is a three-line Voice over IP telephone that seamlessly integrates with IP PBX and Softswitch vendors' IP solutions. As protocols develop and standards evolve, it's easy to update the phones in the field via a software download, enabling new features and functionality. An intuitive user interface offers dedicated, one-button access to common telephony features, and an information-rich display delivers content for messaging, call information, directory access, and applications. The SoundPoint IP 500 offers superb voice quality when used with a handset or in hands-free speakerphone mode. This enhances the productivity of your business phone calls, because you can spend less time trying to understand what other people are saying, and more time communicating with them. The Polycom CX500 IP phone features embedded Microsoft Communicator 14" software, allowing it to be seamlessly deployed within Microsoft Communications Server 14" environments. Its clutter free design and large color display for viewing call and directory information provide the ultimate in calling convenience for common areas, such as lobbies, hallways and break rooms. The CX500 features standard Power over Ethernet (PoE) connectivity and an optional tamper-resistant wall mount providing flexibility and freedom. It also takes full advantage of the new device-only user mode in Communications Server 14" and doesn't require a connection to a PC making it ideal for deployment in public areas. Featuring Polycom HD Voice technology, the CX500 phone brings life-like richness and clarity to every call. Polycom HD Voice technology incorporates Microsoft RTAudio wideband audio with Polycom Acoustic Clarity technology for crystal-clear, noise, and echo-free sound; as well as best-in-class system design for high-fidelity voice reproduction. Standalone IP phone for use with Communications Server 14" - Embedded client does not require a PC to make calls or gain access to general contact information. The Polycom CX600 IP phone delivers all the features included in Microsoft Communications Server 14" environments to provide a cost effective, mainstream. It features Polycom HD Voice technology for crystal-clear calls and robust interoperability with the Communications Server 14" platform maximizing productivity for office and cubicle workers.Featuring embedded Microsoft Communicator 14" software, the CX600 delivers a rich user interface for placing, receiving, and managing calls. The large 3.5-inch high resolution color display and easy navigation buttons enable familiar dialing controls, calendar and contact directory access, and presence indication. The CX600 also features a USB port to enable optional, Better Together" capabilities when used in conjunction with a PC.Seamless integration with Communications Server 14" enhances user experience and provides easy setup and configuration. Built-in dual Gigabit Power over Ethernet (PoE) ports provides full high speed data connectivity between the network and a user's computer, to enable bandwidth-intensive applications on the user's desktop. The Polycom CX700 IP phone delivers remarkable high definition audio quality that provides the ultimate voice communications experience. With its sleek, high-quality handset and its full duplex, hands-free speakerphone, the CX700 IP phone enables crystal-clear, natural conversations without echoes or feedback. Featuring a fully embedded Microsoft Office Communicator 2007 client, the Polycom CX700 IP phone provides direct, on-device access to the features and capabilities of Office Communications Server 2007, all using a bright, touch-screen colour display. It also delivers enhanced presence status information and voicemail indication via an intelligent Microsoft Windows CE based user interface, and enables users to easily control their calls, including click-to-call, conferencing, transferring, holding, forwarding and ending calls.Convenient buttons, a familiar telephone keypad and a navigation wheel allow users to make calls the traditional way, while supporting enhanced navigation to pick up and hang up calls, control volume, switch to speakerphone or headset mode and mute the microphones on the active call. Introducing the SoundPoint IP 550 desktop phone, a four-line SIP phone that delivers calls of unprecedented richness and clarity and supports a comprehensive range of cutting-edge features. Unparalleled Sound Quality The SoundPoint IP 550 desktop phone features Polycoms revolutionary HD Voice technology, which brings life-like richness and clarity to every call.1,5 Polycom HD Voice technology incorporates wideband audio for over twice the voice clarity; Polycoms patented Acoustic Clarity Technology for crystal-clear, noise- and echo-free sound, plus best-in-class system design for high-fidelity, faithful voice reproduction. 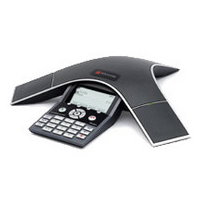 The Polycom® SoundPoint® IP 650 is a high-performance IP phone with Polycom HD Voice technology. The Polycom® IP 650 is designed to appeal to both executive users who require advanced features and applications, and telephone attendants who need multiple line support and enhanced call handling capabilities, the Polycom® SoundPoint® IP 650 sets a new standard for a high-performance IP phone. The SoundPoint® IP 650 is the first IP phone to use Polycom's revolutionary HD Voice technology that delivers voice communications of life-like richness and clarity. In addition to the advancements in voice clarity Polycom has also advanced many of the Polycom® IP650 features and applications. The SoundPoint® IP650 phone's SIP 2.0 software fully supports Microsoft Live Communications Server 2005 for telephony and presence, and integrates with Microsoft Office Communicator instant messenger client. The Polycom® SoundPoint® IP 650 features a USB port for future applications. The Polycom® SoundPoint® IP 650 accommodates 6 lines in a standalone mode and up to 12 lines when equipped with SoundPoint IP Expansion Modules, as an attendant console. The phone supports shared call / bridged line appearances as well as busy lamp field (BLF) functionality that enables phone attendants to monitor and manage calls more efficiently. When equipped with up to three Polycom® SoundPoint® IP Expansion Modules, the Polycom® SoundPoint® IP 650 delivers the advanced call handling capabilities and enhanced user interface of a high-performance attendant console. 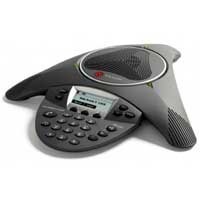 The Polycom® SoundPoint®IP 650 delivers all of its capabilities through an intuitive user interface, featuring a high-quality backlit 320x160 graphical grayscale LCD display, an easy-to-navigate menu, and a combination of dedicated keys and context-sensitive soft keys for one-button access to essential telephony features. Unparalleled sound quality - Features Polycom's revolutionary HD Voice technology which brings a life-like richness and clarity to every call. Broad interoperability - Certified to support a rich set of features with a variety of leading SIP-based IP PBX and Softswitch platforms by Broadsoft, Sylantro, Interactive Intelligence/Vonexus, Digium, and other Polycom partners. Also interoperates with Microsoft Live Communications Server for telephony and presence. The Polycom SoundPoint IP 650 Expansion Module augments the user interface of the SoundPoint with a high-resolution backlit graphical LCD and 14 multifunctional line keys that can be set up as a line registration, call appearance, or a speed-dial. Equipped with a high-performance attendant console based on the SoundPoint IP 650 and up to three Polycom Expansion Modules, the telephone attendant can reduce the number of lost customer calls, shorten transaction times, and increase the accuracy of call routing by promptly accepting, accurately screening, efficiently dispatching, and effortlessly monitoring calls. 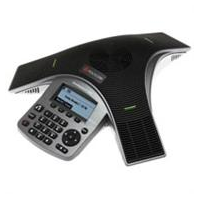 The IP 650 Expansion Module provides an easy transition from traditional PBX features and functionality into the world of Voice over IP with its large, backlit high-resolution LCD, 14 illuminated multifunctional line keys, and user-friendly call visualization similar to that on the SoundPoint IP 650. The Polycom SoundPoint Expansion Module is a true "plug-and-play" device that requires no set-up as power and signaling are provided by the host SoundPoint IP 601 phone. No extra cables or power supplies are required to operate the Expansion Module. Just snap it on - and it works. Like all Polycom VoIP products, the SoundPoint IP Expansion Module is standards-based and fully interoperable with Polycom Partners' IP telephony server solutions. The SoundPoint IP 501 VoIP phone is a three-line desktop IP phone that delivers the outstanding voice quality and smoothness of natural two-way conversations with its full-duplex speakerphone.An intuitive user interface offers dedicated, one button access to common telephony features, and an information-rich graphical LCD display delivers content for messaging, call information, directory access, and applications. Suitable for everyday users, the SoundPoint IP 501 VoIP Phone offers superb voice quality when used with a headset, handset or in hands-free speakerphone mode.